My introduction to Barbara Crooker's poetry was her beautiful collection Gold (Cascade Books/Wipf and Stock, 2013), which addressed, movingly, twin themes of death and grief. When Barbara Crooker: Selected Poems (FutureCycle Press, 2015) appeared this past January, I purchased a copy of the newly published book, which contains 102 poems. I have not written before now about Selected Poems because I have found myself returning often to the poems, especially to those from the chapbook The White Poems, each time admiring how Crooker so early on identified and began drawing deep inspiration from what have become signature subjects: nature, love, family and home life, friendship, illness, death and loss, time and the transience of all things. The Selected Poems comprises work from 10 chapbooks*, dating from 1983 and including two prize winners: Ordinary Life (2001), which won the Byline Chapbook Prize, and Impressionism (2004), awarded a Grayson Books Chapbook Award. (Only a single poem has been selected from the latter. I wish there had been more.) In addition, Selected Poems includes 22 previously uncollected poems, dating from 1989 to 2005, which have appeared in various journals. What is noteworthy is how all the poems, coming as they do from different chapbooks written years apart, cohere around Crooker's universal themes and, in their entirety, present so unified a vision of Crooker's world—a place not without sorrow engendered by tragic circumstance, but also vividly, unforgettably beautiful. It is the beauty Crooker observes and documents that makes the sadness in some of the poems bearable. It is beauty that gives Crooker herself reason to believe her life, all life, is blessed. To read through the Selected Poems is to move repeatedly through metaphorical seasons of life. That constant cycling is evident even in the poems' titles: "Form & Void", "Winter Light", "Auguries", "Fever", "Persistence", "Recipe for Grief", "Coming in from the Cold", "1992: Faith", "1993: Hope", "The Year Winter Never Came", "Bright Star", "Saying Good-Bye". separation between my skin and yours. ~ from "At the Cimitiere de Montmartre"
For every poem adorned in "small flowers [that] open in our hearts" ("January Thaw") or embellished with "leaves [that] come back, on every tree and bush, millions / and millions of small green hands applauding your return" ("For a Friend Lying in Intensive Care Waiting for Her White Blood Cells to Rejuvenate After a Bone Marrow Transplant"), there is another that speaks to reality's contrasting hardships: a worn-out mother of a disabled child who can only dream to "drive clear to the Pacific and never come back" ("The Mother of a Handicapped Child Dreams of Respite"); a woman who, day after day, "lugs the full pail down to the first floor, / heaves it in the washer, makes it spin its offal load. [. . .]" ("The Last Woman in America to Wash Diapers"); a friend in whom "stubborn cells multiply and divide, / an evil arithmetic, the clock ticking away" ("And Then, The Mastectomy"). Always, always, however, comes this acknowledgment to welcome perspective: however long is spent "shoveling in the dark" ("Shoveling at Night"), "[. . .] the rest of our lives will go on, / [. . . .]" ("Letter to Judy"). Even if "[e]verywhere, the silence of all the folded wings" ("All Souls' Day") is all that can be heard, and "your heart constricts to a fist of ice" ("Sorrow Puts on Her Blue Dress"), it remains possible, Crooker maintains, that "[o]ne day, you may learn how to love / the world again and all its breakable beauty" ("Sorrow Puts on Her Blue Dress"). 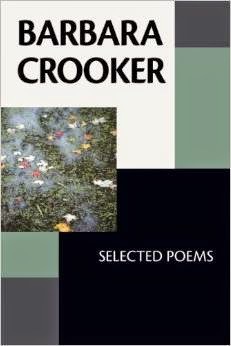 As her evocative imagery underscores, Crooker is a poet profoundly engaged in the experience of living, aware that "[. . .] as dark as it gets on this planet," we still can be so moved by what is around us that all we can do is stand "[. . .] open-mouthed, reading the white-hot / star-spelled stories as if for the first time" ("Worlds End"). Numbering among the earliest examples of her oeuvre, Crooker's Selected Poems show her to be sure of voice, consistent in diction, skillful in using enjambment and creating striking sustained metaphors, accomplished in deploying throughout her free verse her enchantment with words' musical sounds (assonance, consonance, alliteration), and firmly in control of the rhythms of her lines. This is work that illumines a long, clear path to the rewards of the later poetry. in the throat of the pines. * The 10 chapbooks are, in order of appearance in Selected Poems: Ordinary Life (2001), Writing Home (1983), Starting from Zero (1987), Looking for the Comet Halley (1987), The Lost Children (1989), Obbligato (1991), In the Late Summer Garden (1998), Paris (2002), Impressionism (2004), and The White Poems (2001). Some of these may be found only via resellers. The recipient of numerous poetry prizes, residencies, and fellowships, Barbara Crooker has published, in addition to Gold and Barbara Crooker: Selected Poems, the collections Small Rain (Virtual Artists Collective, 2014), More (C&R Press, 2010), Line Dance (Word Press, 2008), and Radiance (Word Press, 2005). Her poems, which to date number at more than 1,000, have appeared in many literary magazines and periodicals, including The Beloit Poetry Journal, The Denver Quarterly, The Green Mountains Review, Rattle, Smartish Pace, Superstition Review, The Tampa Review, Verse Daily, and Verse-Virtual. 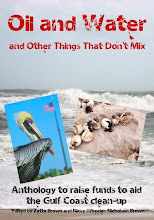 Crooker has provided on her Website links to a generous selection of her work online and links to her books. Art. . . Did You Know?